One of the hospitals sheltered 1,500 people plus pets during the storm. Bay Medical Sacred Heart, which sheltered 1,500 people -- staff's families, first responders and patients -- from the storm Wednesday said Thursday that that although everyone is safe, the building was damaged and it is evacuating more than 200 patients. 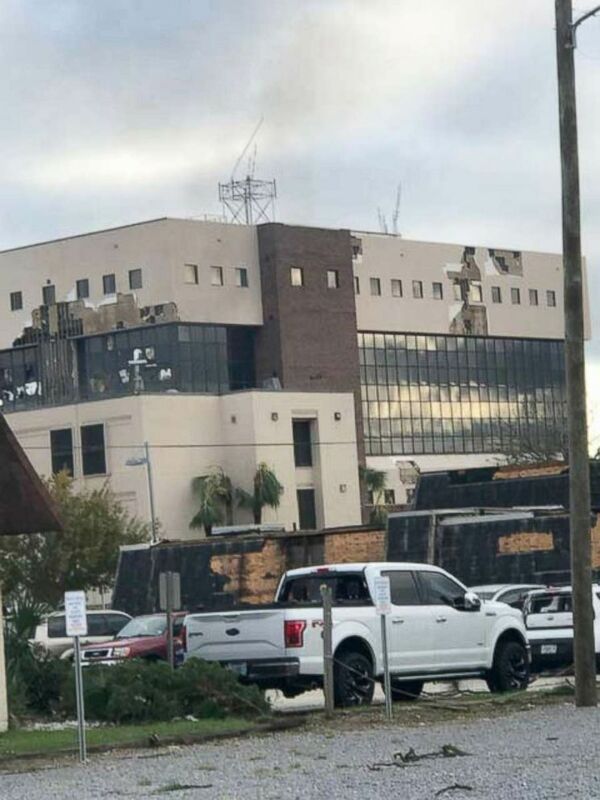 Gulf Coast Regional Medical Center also announced in a statement that it's evacuating its approximately 130 patients, starting with the most critically ill "because of the infrastructure challenges in our community." "Until we can be certain of stable public power, water and sewage systems, our patients will be safest in our neighboring hospitals," the statement from Gulf Coast Regional said. 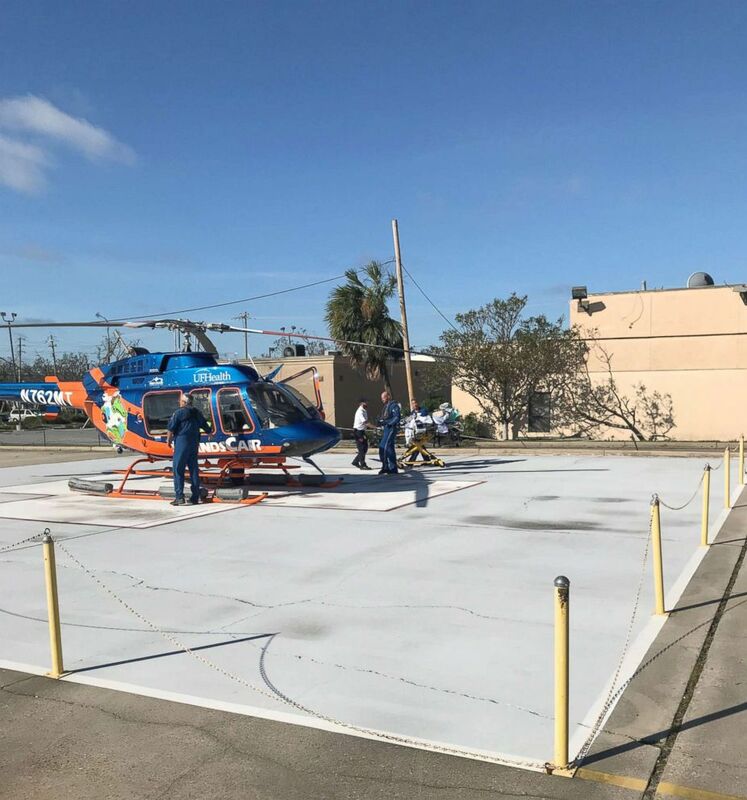 Bay Medical said on social media that it "sustained damage including windows blown out, cracking of an exterior wall and roof damage" when the hurricane hit the coast around Panama City on Wednesday. In a news release, the hospital said it also had water damage. 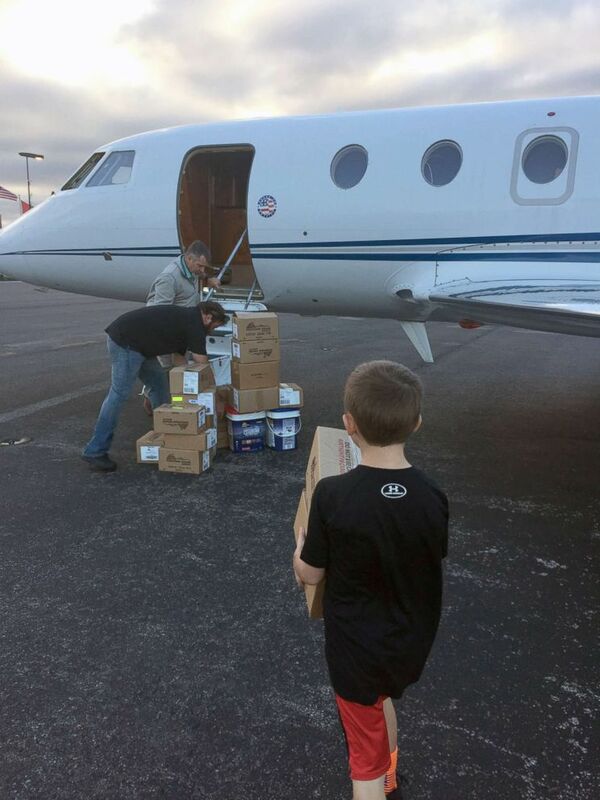 (Martha Crombie/Ardent Health) Staff from Ardent Health Services in Nashville flew to Panama City to deliver 1000 MREs to the Bay Medical Sacred Heart Thursday after it was hit by Hurricane Michael. Ardent Health Services is the parent company for BMSH. 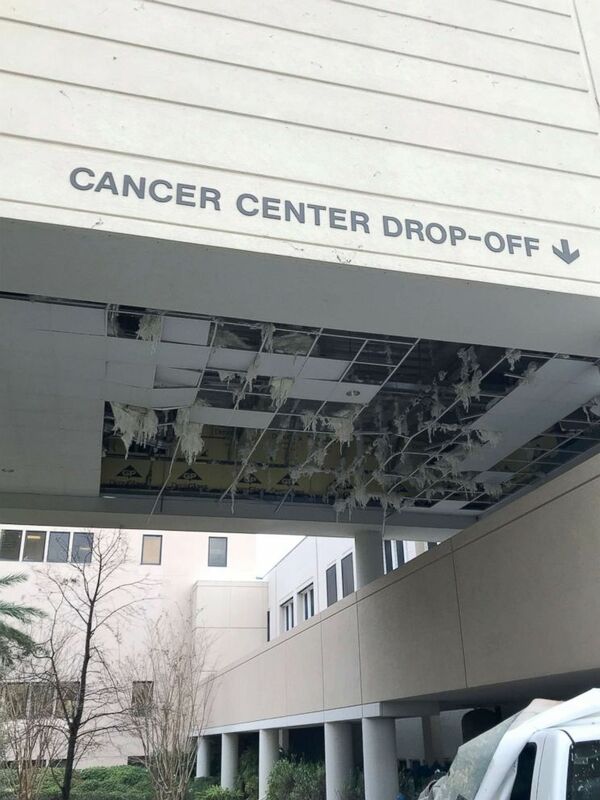 "A section of the roof collapsed in the hospital's materials management building. 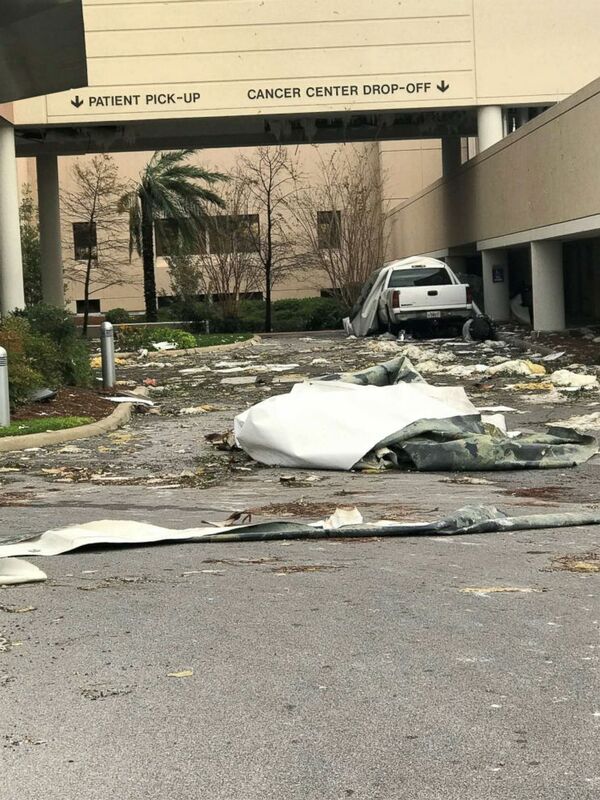 ... Hurricane Michael also caused substantial broken glass, cooling and plumbing issues and loss of information systems," Bay Medical Sacred Heart said. (Martha Crombie/Ardent Health) Bay Medical Sacred Heart has started patient evacuation due to building conditions and hurricane damage. The hospital said more than 200 patients would be evacuated in the next 48 hours. "One, in fact, was walking barefoot and there was broken glass everywhere," Scott told ABC News' David Muir Thursday. At one point, the storm blew down the outside emergency department doors, Scott said. "It formed a wind tunnel through the emergency department." "We had to block off doors with stretchers and bolts and everything to be able to shut down the wind tunnel that was coming through the hospital like a freight train," he said. Another doctor at Bay Medical said Hurricane Michael's winds were extraordinarily powerful. "I lived through [Hurricane] Katrina in New Orleans before coming here and the wind damage here was far worse in my experience," cardiologist Sam Patel told Muir, adding that at the storm's height, it sounded like a jet engine. "Windows were being blown in and water was coming in. ... Luckily none of our patients had any injuries due to the storm. ... It was about two to three hours of pure hell," Patel said. "Scary. ... The wind damage was pretty phenomenal." "All patients, family members and staff are safe and patient care will continue until the last patient is transferred," hospital CEO Scott Campbell said after Hurricane Michael passed. "If patients do not have a family member or other support persons with them at the hospital, we are reaching out to their emergency contacts." The first 29 patients left at 4 a.m. Thursday via ground ambulance, according to Martha Crombie, Ardent Health Services' vice president of marketing and planning, Americas Division. A helicopter arrived at 7:24 a.m. CT to pick up another patient. "Our staff and physicians have demonstrated extraordinary dedication throughout this crisis, providing exemplary care for our patients," Campbell said. "This has been a truly noble effort and we are deeply grateful for their sacrifice."